Bert was born in 1923 in Hamburg, Germany between the Wars. At aged six he was injured in a car accident and his mother bought him a piano. He soon mastered the keyboard, and picked up the clarinet and saxophone, among other instruments and became a multi-instrumentalist. He went to the Hamburg Conservatory to study music but his interests in 30s and 40s American-style big band music meant his multi-instrumental skills made him a valuable commodity. The teenager could not wait to join the pop orchestra (Hans Busch Orchestra), before serving as a bandsman in the German Navy during World War II. He was captured and interned in Denmark but quickly formed a band and later toured American military installations in Germany, at last able to play his favorite kind of music. At the end of the war he came back to Hamburg, and began performing on the British Forces Network radio writing compositions using the alias of Mark Bones. Kaempfert's reputation soon attracted Polydor Records and they hired him as an arranger, producer, and music director during the second half of the 1950s. His first hit was "Wonderland by Night" (1960) and it took the interest of the US pop music fans and Bert became a household name. Almost all of his best-known recordings featured a trumpet lead but although Bert was a talented multi-instrumentalist he could not play trumpet. The trumpet solos on his recordings were credited to either Charles Tabor or Fred Moch. In his capacity as A&R man in 1961 he hired a popular backing band for Tony Sheridan. The group was the Beatles and the Polydor collection of "My Bonnie (Lies over the Ocean)," "When the Saints Go Marching In," "Ain't She Sweet" and "Cry for a Shadow," became the first recorded works of the Fab Four. Bert was reportedly unimpressed with their work and released the single under the name of "The Beat Brothers." Fortunately someone recognized their talent and when he came to Brian Epstein’s store in Liverpool to buy a copy, history was made. Bert was kept busy as a producer and although he realized music tastes had swung from the band sounds of Tommy Dorsey to R&B influence that did not stop him from reviving pop tunes like "Tenderly," "Red Roses for a Blue Lady," "Three O'Clock in the Morning," and "Bye Bye Blues." These all became monster hits internationally and he also composed pieces of his own, including "Spanish Eyes (Moon Over Naples)," and "Danke Schoen," which were recorded by other artists. As a fan of old American jazz he probably got the biggest kick when his hero Nat King Cole recorded “L-O-V-E."
Bert’s chart placements faded by the end of the decade but no one could dispute his impact on the popular culture of the 1960s. He proved himself a prodigiously talented composer, an attribute which ironically his inspirational heroes the big band leaders rarely possessed. In 1965 he became a film music composer with the soundtrack to a movie entitled “A Man Could Get Killed” The title song from the movie became a massive hit for old blue eyes and resurrected him as a recording artist. Although chart placements disappeared in the 1970s principally because radio airplay for adult and older dance music was ignored he continued to sell records and the orchestra toured extensively. Bert’s works became mainstream muzak and in the 70s and no respecting person can admit to not having a root canal at their local dentist to the accompaniment of the Bert Kaempfert Orchestra. 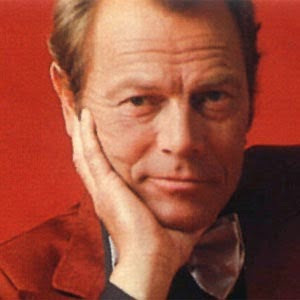 Bert Kaempfert died suddenly, at the age of 56 from a heart seizure while at his home in Mallorca. He had just returned from another successful British tour.